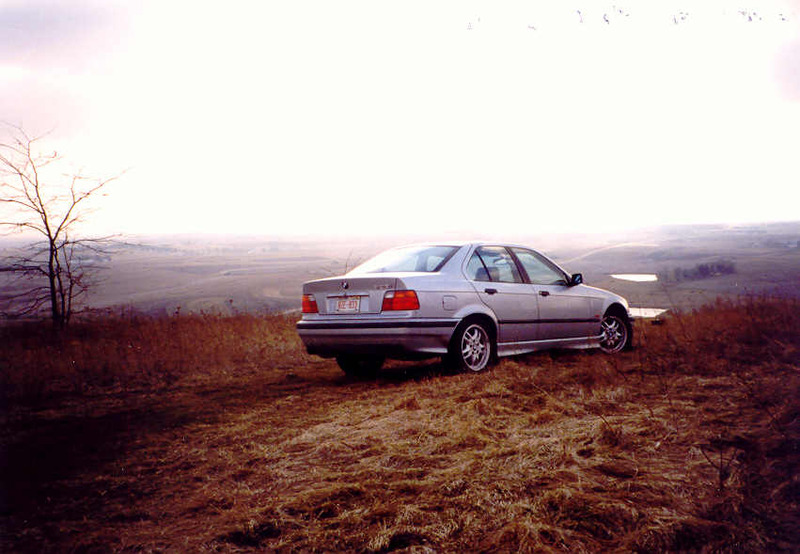 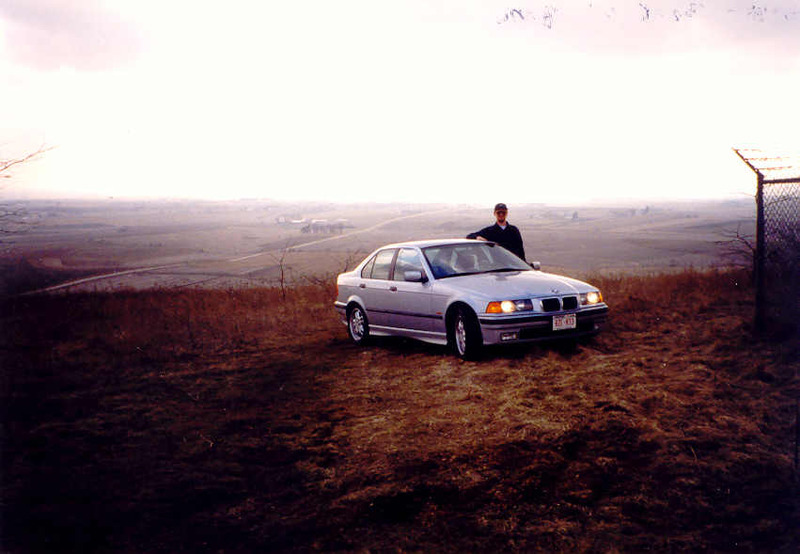 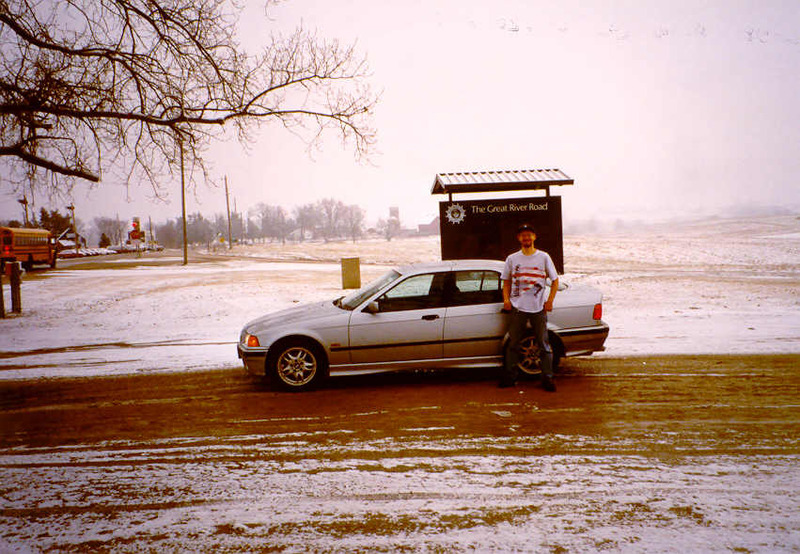 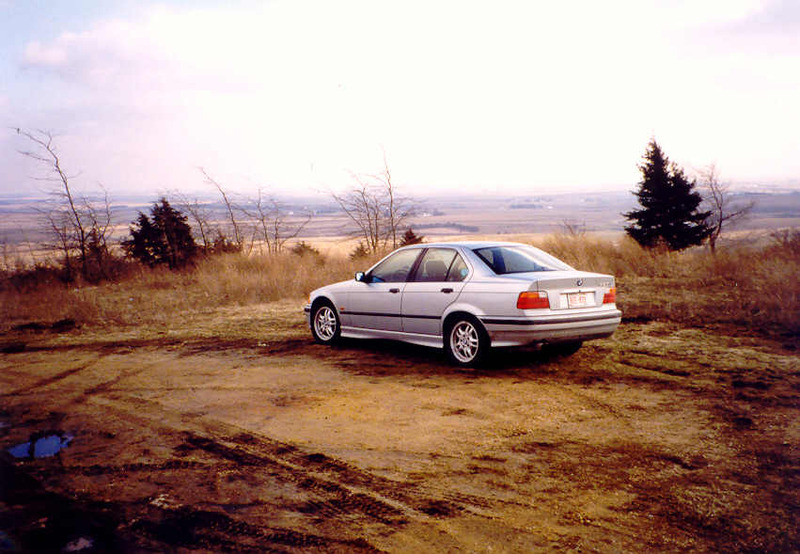 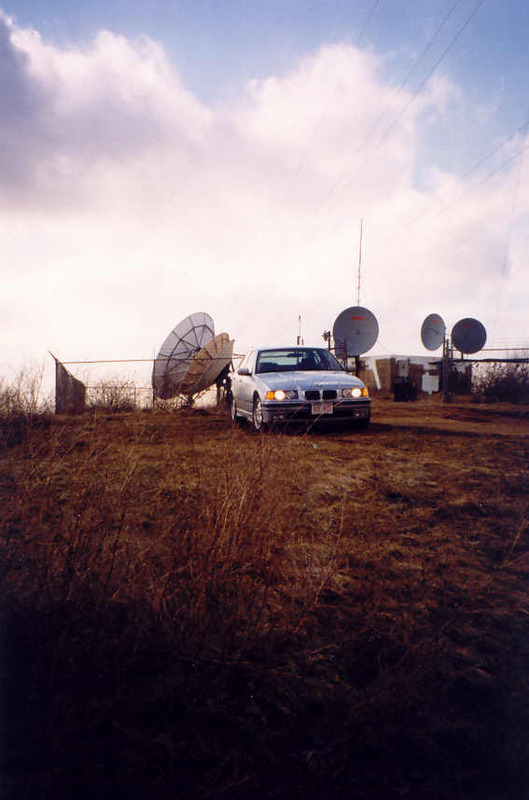 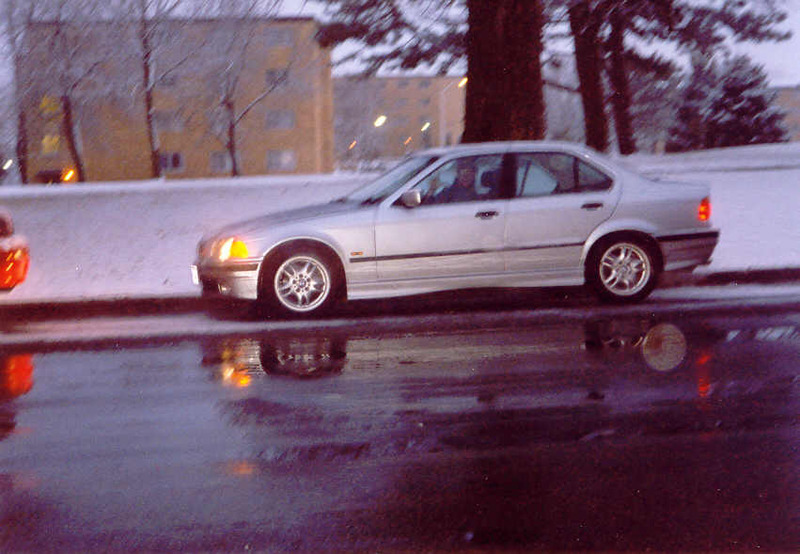 On March 5, 1998, Scott brought his BMW to Zimbrick in Madison to get his car fixed, and they gave us a loaner car to take to Platteville and return the next day - A 1997 BMW 328is!!! 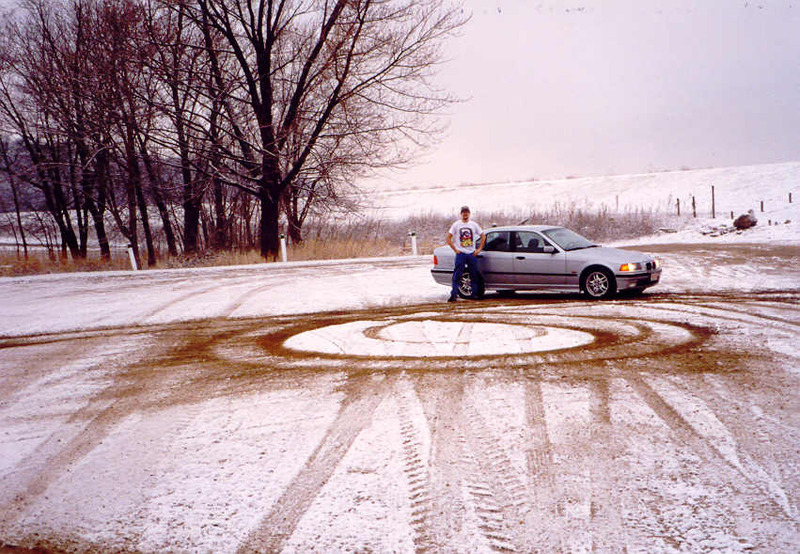 They are so stupid! 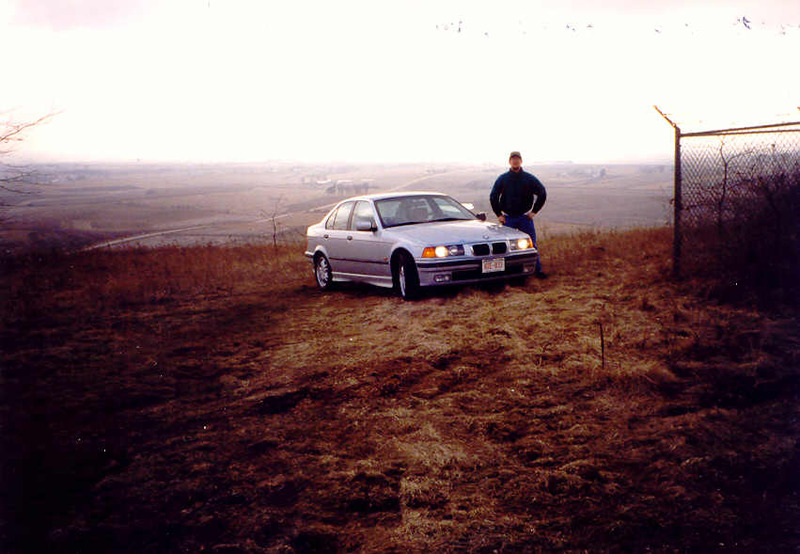 So we got up early Friday morning and took it on a test drive. 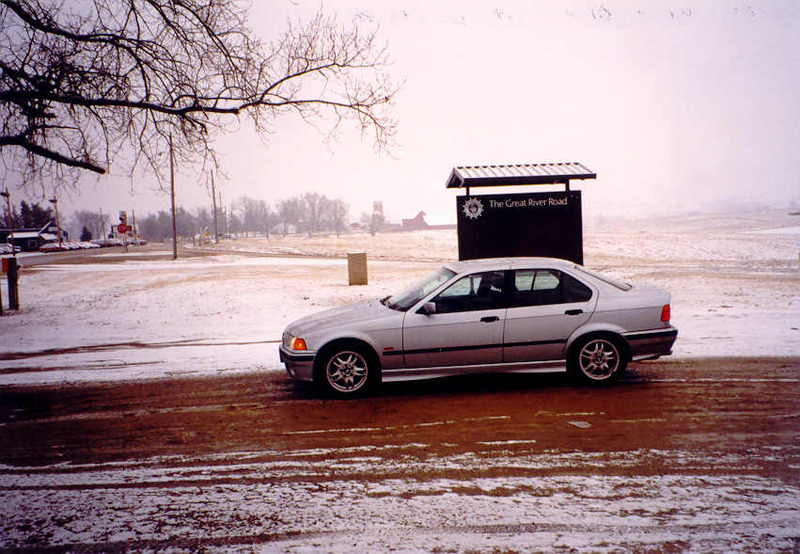 When we returned it later that afternoon, we had put on 310 miles, of which we should have only put on 160 at the most! 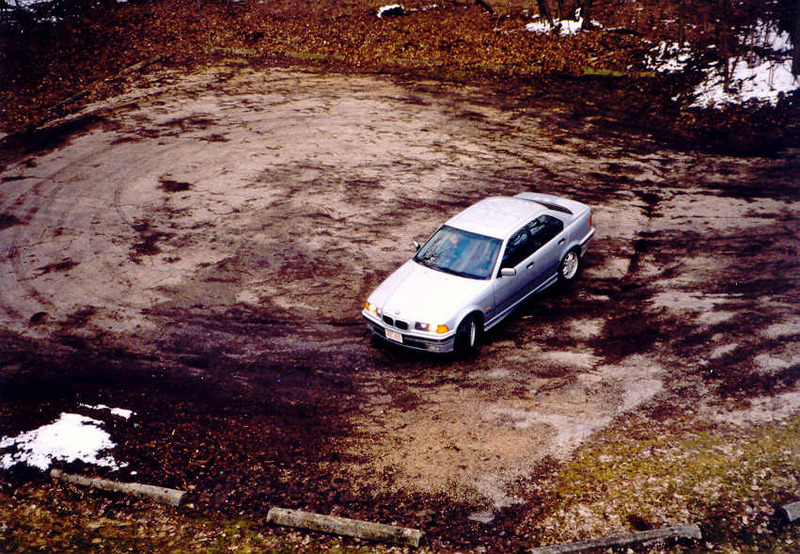 Craig and "The Car", an aerial view of "The Car"